With our snappy new name (we didn’t have the nerve to actually put our name in the titles for years) and The Bike Lesson under our belts, we really were off to the races with our bear series. The books that followed, The Bears’ Picnic, The Bear Scouts, The Bears’ Vacation, The Bears’ Christmas, The Bear Detectives, were all variations on the theme established in Honey Hunt and Bike Lesson: Papa sets out to instruct Small Bear in some aspect of the art of living and ends up badly the worse for wear, with Small Bear expressing his appreciation for the fine lesson Papa has taught him. Although the editorial/authorial road ahead was now reasonably smooth, we did hit an occasional pothole. The Beginner Book format offered the luxury of full-color endpapers. They were great fun to do. 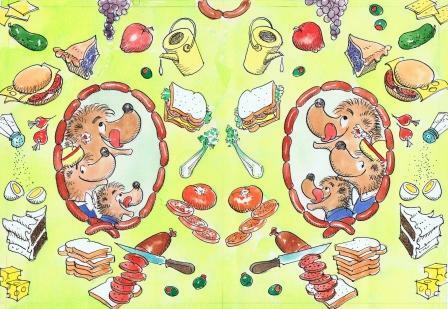 We had a wonderful time drawing every imaginable kind of picnic food for The Bears’ Picnic’s endpapers: sliced olives with pimento, a wedge of Swiss cheese, pickles, liverwurst, three kinds of pie, and chocolate cake to die for. Ted’s response: “Looks like a damn delicatessen. Do something else.” We looked at it. Ted was right. It did look like a delicatessen. 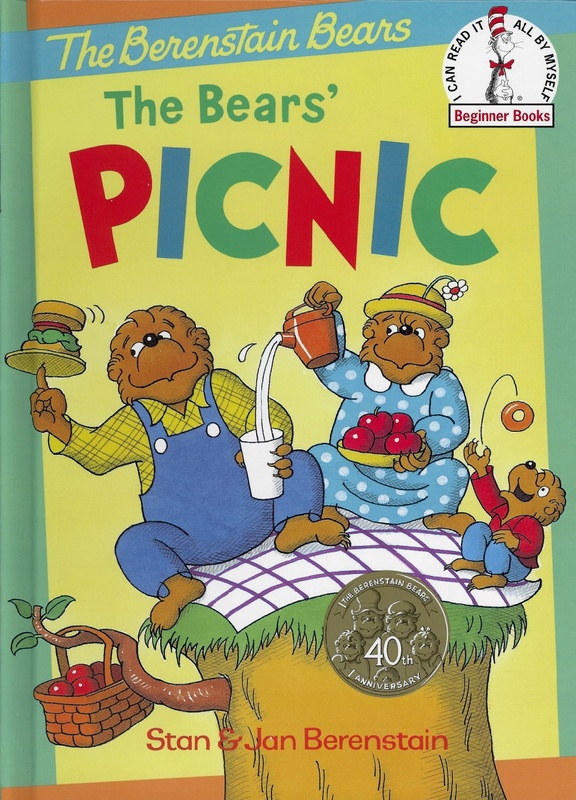 The Bear’s Picnic was published by Random House in 1966. Sketch of endpaper rejected by Ted Geisel. 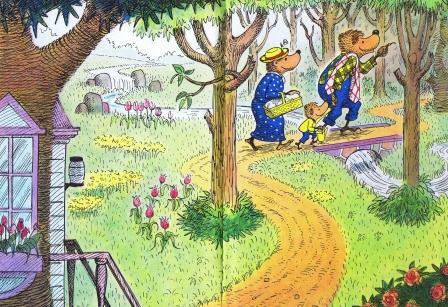 Endpaper as it appeared in The Bears’ Picnic. Its great as your other posts : D, thankyou for putting up. “A gift in season is a double favor to the needy.” by Publilius Syrus.